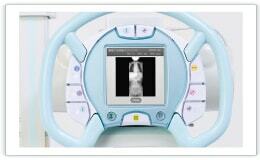 RADspeed Pro V4 - Radiography 《SHIMADZU》 - X-Ray Sytem - Product - The Industrial Promoting Co. Ltd. The system is equipped with an integrated console that simplifies operations by combining the control console for the X-ray high voltage generator with the control unit for the DR system. You can prepare for the exposure and check the results from either the control room or the examination room, providing an excellent workflow. 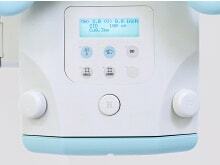 With its convenient dial operations and easy-to-read illuminated display, the wall-mounted console enables timely operation and effective patient throughput. 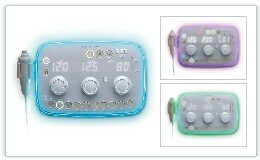 The programmable surround color clearly displays the Standby, Prep, and Exposure status, providing the operator with accurate exposure timing information. 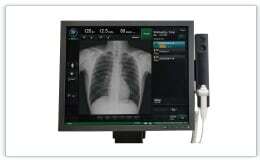 The post-radiography images are displayed on the integrated DR operator's console. 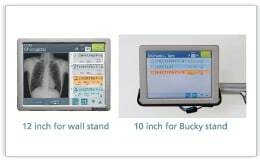 If the optional data display monitor is added to the bucky stand or mounted on the wall of the examination room, you can select protocols and check the patient's name and the radiography images on the spot. Up to three data display monitors can be installed. When an examination starts, the patient's name can be displayed on the LCD on the X-ray tube support for easier confirmation. 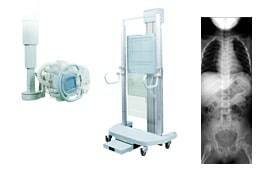 In addition, the post-radiography images can be displayed on the ceiling-mounted X-ray tube support. FPDs can be combined from fixed FPD(17x17”), portable wireless FPD(14x17”) and portable wired FPD(14x17”). The portable FPD is easy to set up meeting the needs of any examination, whether in bucky, tabletop, or lateral radiography. A highly-sensitive CsI detector can be selected reducing exposure even further. The auto-positioning feature is interlocked with the protocols. 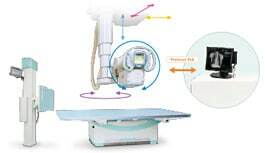 This function moves the ceiling-mounted X-ray tube support to any desired position at the press of a single button and can automatically set the X-ray tube angle. 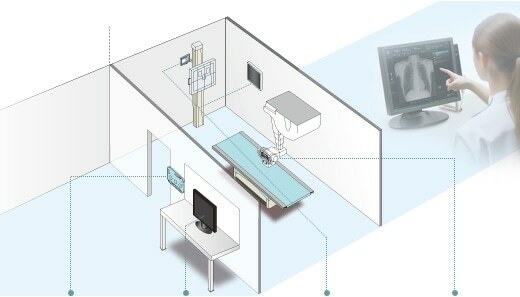 Effortless tube positioning allows the operator to focus on patient care. Naturally, manual operation is also possible to make fine positioning corrections extremely simple. Images are taken while swinging the X-ray tube and moving the FPD. These images are automatically stitched together to obtain wide-range images along the body axis instantly. 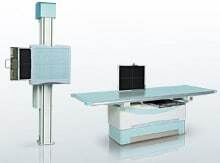 The removable grid of stand and table enables a lower dose, especially in pediatrics. The type of grid inserted is displayed on the integrated console and on the LCD of the ceiling mounted X-ray tube support. Select a protocol to suit the type of examination, and the filter in the collimator will change in accordance with the protocol. This ensures the correct filter is always selected automatically.